Lets take a look at infamous country known for its corrupt political system and taste for socialism. This collapsing nation provides a great economic sample worth of examining. 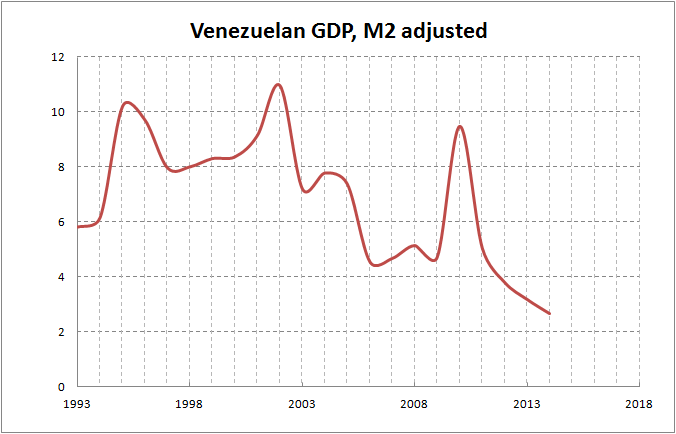 You can see that venezuelan GDP had reached all time high in 2002 and then plummeted by 70%. 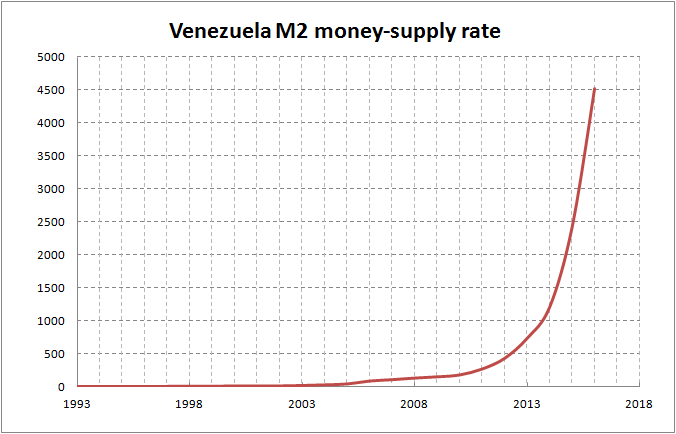 There are many causes of this collapse but from the chart bellow we can see that money printing can’t save economy from collapse. 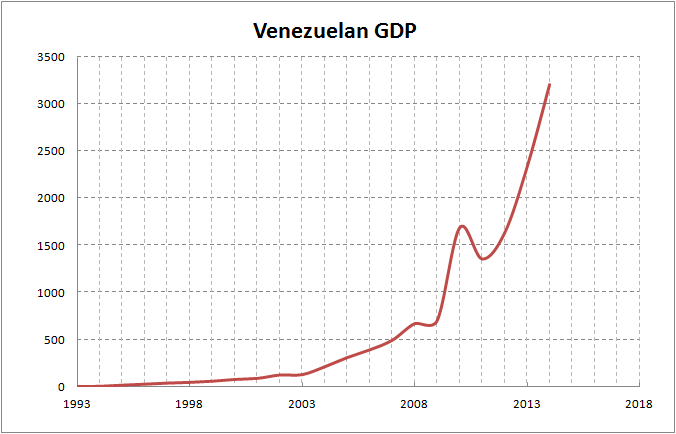 Since 1993 number or bolivars in circulation multiplied 4500 times! Hi, I do believe this is an excellent web site. I stumbledupon it 😉 I am going to return yet again since I saved as a favorite it. Money and freedom is the greatest way to change, may you be rich and continue to guide others.